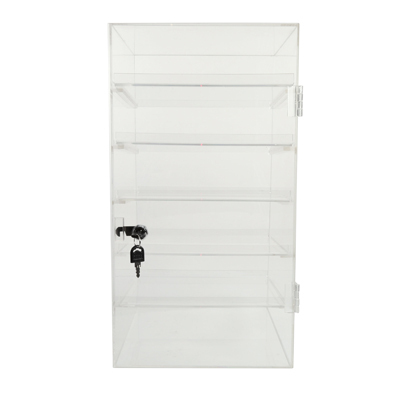 This acrylic showcase is an attention-getting counter display which encourages fantastic sales. 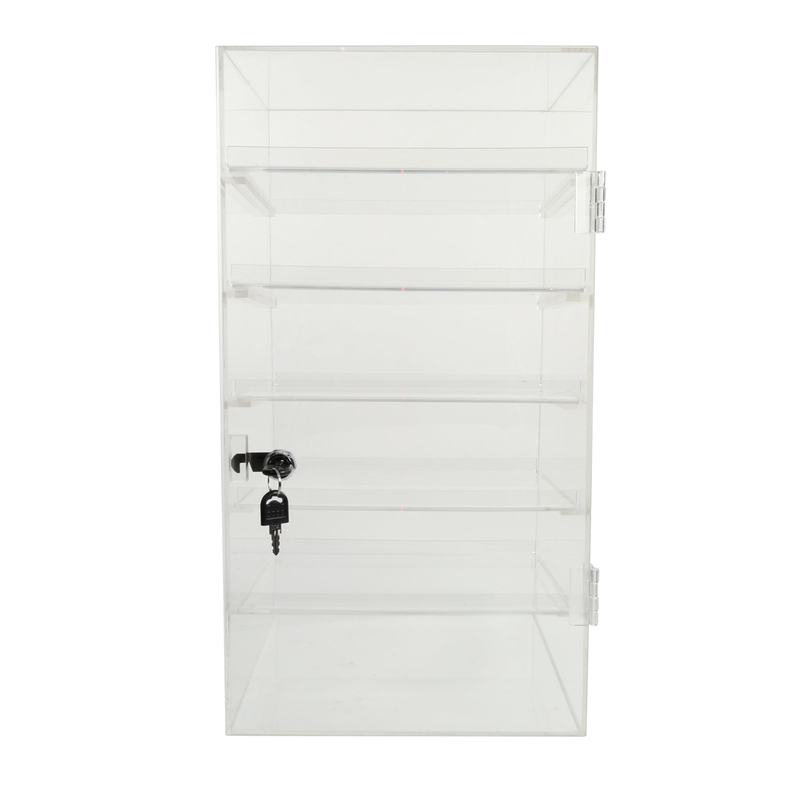 Unit has a hinged door with lock to keep merchandise secure. Five angled trays easily pull out for restocking. 3 3/4 in. space between shelves. Removable trays measure 10 1/4 W x 3/4 D x 10 1/4 W.